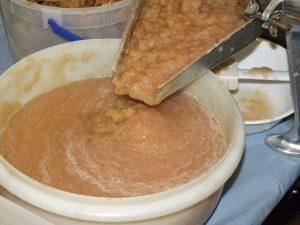 Apple butter and pear butter is a spreadable topping, made essentially by reducing seasoned applesauce to a thick paste. When cooked until thick, pome fruits such as apples and pears reveal earthy, plum-like flavors that are heightened with warm spices and a touch of sugar or honey. There’s no butter in it; it spreads like butter. Hence, the name. Compared to jam or jelly, fruit “butter” is a low-sugar option for spreadable fruit. The long-slow cooking and reduction of the fruit also increases its shelf life compared to applesauce. It’s an old-fashioned technique that is out of style in the 21st century. But it may be worth bringing it back to your household. Fruit butter may be frozen or canned. Opened containers of fruit butter will keep in the refrigerator for about 3 months. Use fruit butter for toast or sandwiches, as a condiment for roasted meats, or swirl into plain yogurt..anywhere you want a fruity accent. For more information about preserving apples and pears, plus many other food preservation methods for all types of foods, get the book The Home Preserving Bible by Carole Cancler. Tart or cooking varieties of apples and pears tend to produce light, fresh-tasting fruit butter, while sweet fruits create a more cloying spread. The color can range from light caramel to mahogany, depending on the fruit variety, amount of spices added, and other factors. In a large (6- to 8-quart), heavy stainless-steel or enamel pot, add apples and apple cider. Bring to a boil over medium heat. Continue to cook until fruit is soft. 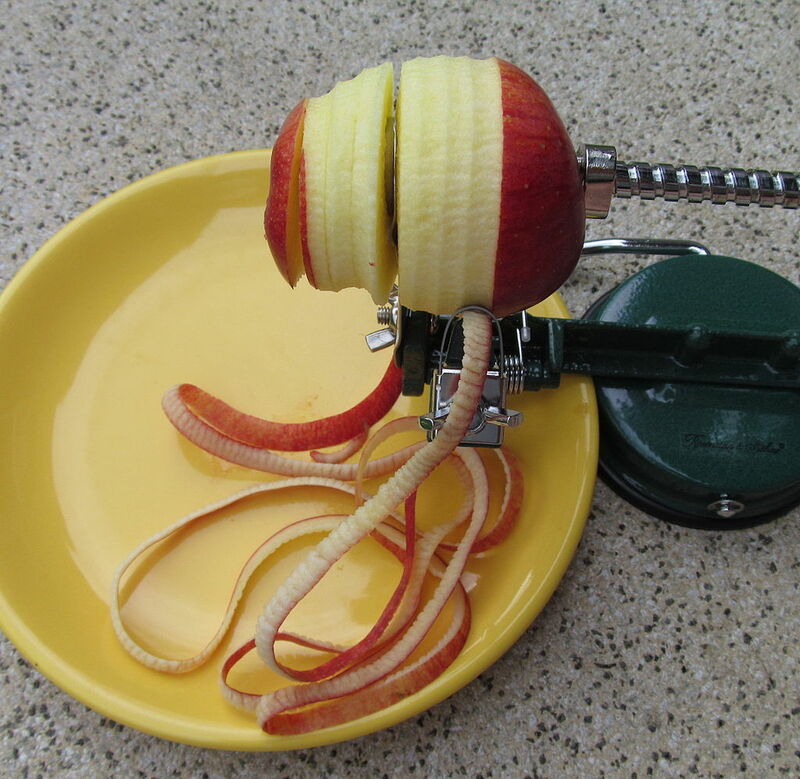 Press fruit through a food mill or strainer, or purée in a food processor. Reduce heat to medium and continue to boil gently, adjusting heat as needed. Cook about 4 to 6 hours or more (yes, you read that right), or until thick, stirring frequently to prevent sticking. (If you are using a slow cooker, it will take longer, perhaps 8 to 12 hours.) Apple butter is done when it mounds on a spoon, or a spoonful on a plate does not weep clear liquid around the edge. Cool apple butter completely. Store in covered containers in the refrigerator up to 3 months. Freeze or can for longer storage. Chill thoroughly and pack into freezer-safe containers. Freeze up to 1 year. Once opened, refrigerate fruit butter and use within 3 months. Turn heat to low to keep fruit butter hot while filling jars. Fill hot jars, adjusting to 1/4-inch headspace. Wipe the jar rim with a clean, dampened paper towel. Secure the lid. Process half-pints or pints for 10 minutes (at 0 to 1,000 feet). Cool completely, test the seal, label, and store jars up to 1 year. Once opened, refrigerate fruit butter and use within 3 months. If you are new to canning, read How to get started with the canning preservation method and download this free Tip Sheet for Home Food Canning. 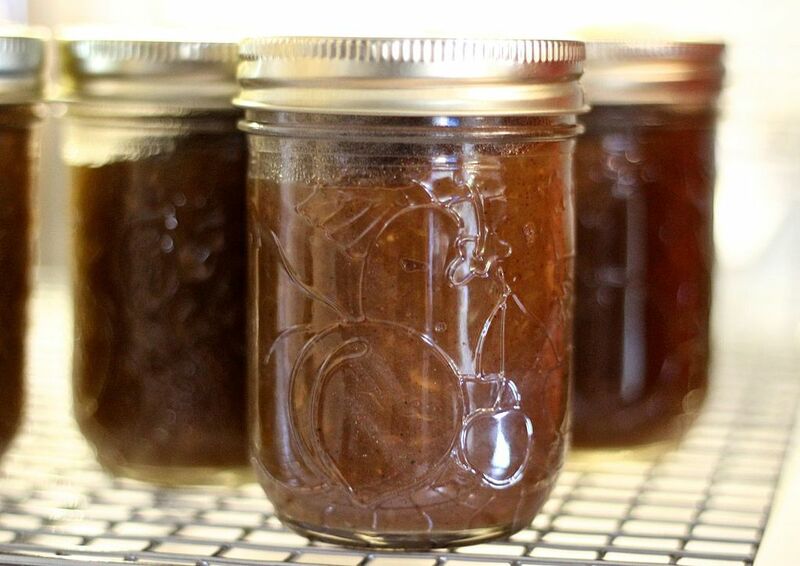 If you have already have applesauce instead of apples, use this recipe to make apple butter. Of course, it also works to make pear butter from pear sauce. For more information about making pome fruit sauces, read how to prepare applesauce, pear sauce, and quince paste. In a saucepan, stir together fruit sauce, apple juice, sugar, lemon juice or vinegar (if using), cinnamon, and cloves. Bring to a boil over medium heat. Reduce heat and continue to boil gently. Cook until thick. As mixture reduces and thickens, stir frequently to prevent sticking. Fruit butter is done when it mounds on a spoon, or a spoonful on a plate does not weep clear liquid around the edge. Help! My pears are not ripening all at once, so i decided to prepare the pulp in small batches, and then freeze it until I’ve got enough to make it worth firing up my water-bath canner. So, my question is, is there a conversion for the recipe from pounds of raw fruit to volume of pulp (quarts or cups or whatever)? Also, I’m trying to reduce added sugar – is it safe to add sugar just to taste, or is there some food-safety issue that requires a specific ratio of sugar to pulp in order to prevent spoiling? Thanks so much!!! The conversion of pounds of raw fruit to volume of pulp for pome fruits (apples, pears, and quince) is 1-1/2 to 1-3/4 cups puree (pulp without peels and cores) for each 1 pound of fruit. You could mark each container as you put it in the freezer…or use this conversion if you haven’t been keeping track. You may adjust the sugar to taste when making pear butter. Sugar does not play a safety role in pear butter (or similar products such as applesauce). 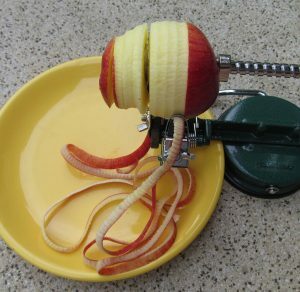 Food safety of fruit is due to the naturally acidic nature of fruits. The primary role of sugar is to enhance, as well as protect, color and flavor in home canned products. However, you may find that low-sugar products will mold faster once they have been opened for consumption. Once you open a jar of pear butter, of course store it in the refrigerator, but also plan to use it within 1-2 weeks. Low sugar products may start to mold in 3-4 weeks. 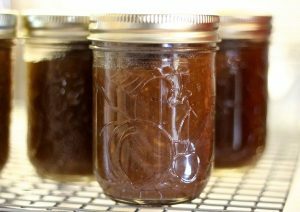 “Low-sugar recipe for pear butter or apple butter | The Home Preserving Bible” was in fact a remarkable posting, cannot wait to read alot more of your articles. Time to waste some time on the net hehe.